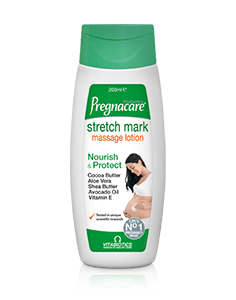 Pregnacare Max offers the ultimate formula in the range for mums-to-be who want the maximum nutritional support from Pregnacare. This advanced formula helps to safeguard daily intake of important nutrients during pregnancy. The dual pack provides 400mcg folic acid the exact level recommended by the UK Department of Health, incorporating the special, readily bioavailable form L - Methylfolate. Supplemental folic acid intake increases maternal folate status*. Low maternal folate status is a risk factor in the development of neural tube defects in the developing foetus. Wide range of supporting micro-nutrients including Inositol, L-Arginine and Betacarotene. Pregnacare Max is available from Boots, Sainsbury's, Tesco, Waitrose, independent pharmacies and health stores. Alternatively you can order online here. ** A beneficial effect is obtained with a daily intake of 200mg DHA in addition to the recommended daily intake of omega-3 fatty acids for adults. Tablet Ingredients: Calcium Carbonate (Carrier: Maltodextrin), Magnesium Oxide, Bulking Agent: Maltodextrin, Microcrystalline Cellulose, L-Arginine, Vitamin C (Ascorbic Acid [Carriers: Hydroxypropylmethylcellulose & Tartaric Acid]), Tablet Coating (Hydroxypropylmethylcellulose, Natural Source Colours: [Titanium Dioxide, Copper Chlorophyllin & Iron Oxide Yellow], Polydextrose, Talc, Maltodextrin, Medium Chain Triglycerides, Glycerin), Inositol, Anti-Caking Agents: Silicon Dioxide, Stearic Acid & Magnesium Stearate, N-Acetyl Cysteine, Ferrous Fumarate, Zinc Sulphate, Niacin (as Nicotinamide), Vitamin B6 (Pyridoxine HCl), Vitamin B12 (Cyanocobalamin, [Carriers: Maltodextrin, Trisodium Citrate, Citric Acid]), Betacarotene (Carriers: Starch, Water, Antioxidant: DL-Alpha Tocopherol), Thiamin (Vitamin B1 as Mononitrate), Pantothenic Acid (as Calcium Salt), Vitamin E (D-Alpha Tocopheryl Acid Succinate) (from Soya), Vitamin D3 (Cholecalciferol, [Carriers: Acacia, Sucrose, Corn Starch, Medium Chain Triglycerides, Antioxidant: DL-Alpha Tocopherol]), Copper Sulphate, Riboflavin, Vitamin K (Vitamin K1 [Carriers: Acacia, Sucrose]), Manganese Sulphate, Folic Acid (as Pteroylmonoglutamic Acid & Calcium-L-Methylfolate), Potassium Iodide, Biotin, Sodium Selenate. Allergy Advice: For allergens, see ingredients in bold. Capsule Ingredients: Omega-3 Fish Oil (Docosahexaenoic Acid Concentrate) (from Fish), Capsule Shell: Pharmaceutical Grade Gelatin (Bovine source), Glycerin & Natural Flavour Lemon Oil. Allergy Advice: For allergens, see ingredients in bold. Two Pregnacare Max Tablets per day, plus one Omega-3 capsule every day. Swallow each with a cold drink and take with a main meal. Not to be chewed. Do not exceed recommended intake. Pregnacare tablets and capsules should only be taken on a full stomach. You can start taking Pregnacare Max at any point during pregnancy. Food supplements must not replace a varied and balanced diet and a healthy lifestyle. As with other food supplements, consult your doctor or pharmacist before using if you are under medical supervision, have epilepsy, a thyroid condition, haemochromatosis, suffer from food allergies, or are allergic to any of the ingredients. Contains high purity fish oil. Allergy Advice: Made in a site that may handle nuts.For allergens, see ingredients in bold. As Pregnacare contains vitamin K, if you are taking oral anticoagulants (blood thinning medication) do not take Pregnacare except on the advice of a doctor. This product contains iron, which if taken in excess, may be harmful to very young children. Store below 25°C in a dry place, out of sight and reach of children. 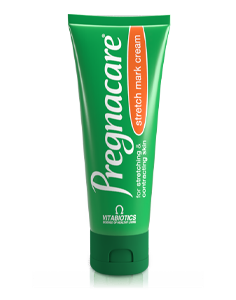 Why has Pregnacare Max been developed? What is the difference between Pregnacare Max and Pregnacare Plus? 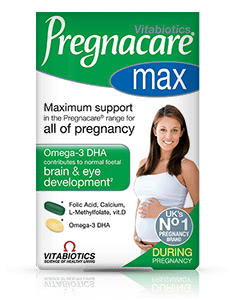 How pure is the fish oil in Pregnacare Max? 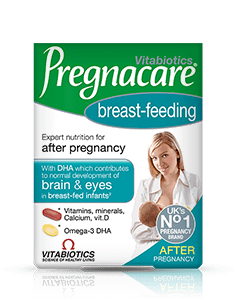 Can I use Pregnacare Max during Breast-feeding? Can Pregnacare Max be used alongside medicines? How many tablets and capsules does one pack of Pregnacare Max contain? 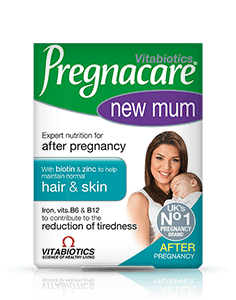 Are there any undesired effects whilst taking Pregnacare Max? 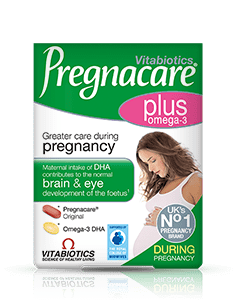 Is Pregnacare Max suitable for vegetarians? 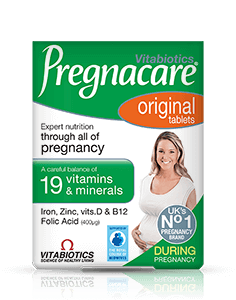 Does Pregnacare Max contain Vitamin A (retinol), because excess may be harmful during pregnancy? I have been recommended by my midwife/G.P. to take a supplement containing 400 mcg of folic acid per day, only for the first 12 weeks of pregnancy. 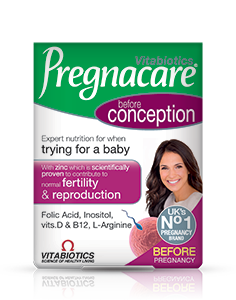 Is it safe to take a supplement containing folic acid (like Pregnacare Max), after this time? What happens if I forget to take my Pregnacare Max and miss a day? 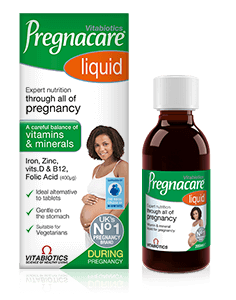 Pregnacare Max has been developed for mums-to-be who want maximum nutritional support from Pregnacare. This advanced formula helps to safeguard daily intake of nutrients important during pregnancy. It provides 400μg folic acid, incorporating the special, readily bioavailable form L-Methylfolate, together with other essential vitamins and minerals, including 10μg vitamin D, 500mg calcium, plus 300mg DHA. As with other supplements, seek professional advice before using if you are under medical supervision or suffer from food allergies. Do not take if you are allergic to soya, fish or fish products. Food supplements must not replace a varied and balanced diet and a healthy lifestyle. Contains high purity fish oil. A daily intake of 200mg DHA is required in addition to the recommended daily intake of 250mg DHA / EPA for adults. 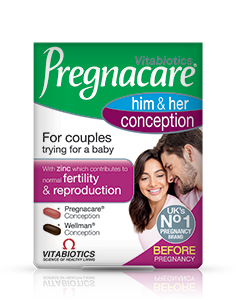 As Pregnacare contains vitamin K, if you are taking anticoagulants (blood thinners) do not take Pregnacare except on the advice of a doctor. This product contains iron, which if taken in excess, may be harmful to young children. Store below 25°C in a dry place, out of sight and reach of children.